Posted on February 18, 2017 Posted in Cakes, Traditional	. For Christmas recently I was given a book on cakes from all over the world. Of course the first thing I did when the Christmas catch-ups were over was start to make the traditional recipes from the book. 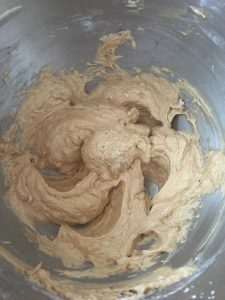 12 recipes in and I found 1 that I had to blog about. Now I’m not really sure how ‘traditional’ this recipe actually is but the key ingredients I know at least are. This Irish Coffee Cake is to die for, and that’s coming from someone who has recently been turned off drinking coffee and opts for tea every time. 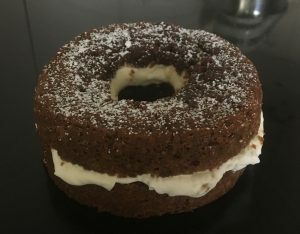 The key ingredients in this cake that make it special is the incorporation of Irish coffee as well as Irish whiskey. A super easy and fluffy cake to make and a super tasty treat even to a non-coffee, non-whiskey drinker. Pre-heat the oven to 175c degrees and spray a 25cm bundt cake tin with a generous amount of oil spray. Place the butter, vanilla and sugar into a bowl and beat with electric beaters for 5 minutes until light and fluffy. Add the eggs, one at a time beating in between each addition. Sift the flour and salt into the mix and pour in the cold coffee. Carefully mix the batter until just combine. 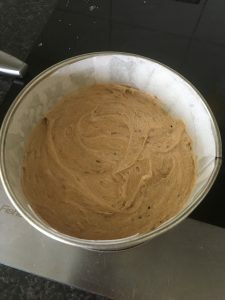 Pour the mix into the prepared cake tin and bake for 40 minutes or until a skewer inserted into the center comes out clean. Leave the cake aside to cool on a cooling rack. 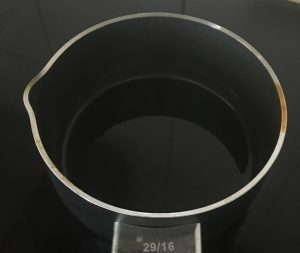 Meanwhile make the syrup by placing all the ingredients into a saucepan on high and stir until the sugar has dissolved and the mix just starts to get syrupy. Using a pastry brush, brush the syrup onto the 2 cut sides of the cake layers. 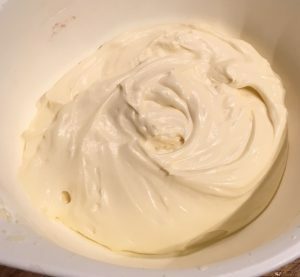 Make the filling by beating the cream with electric beaters until soft peaks form. Add the remaining filling ingredients and beat on low until peaks form. Place the bottom layer of the cake on a plate, cut side up. Spread the cream on the cake layer. Top with the second cake layer cut side down. Tags: coffee, Irish Coffee Cake, traditional irish cake, wishkey	.